Below we have included some maps showing the route from the Larnaca and Paphos Airports to Kalavasos Village and below we have included written directions to assist you. It is not very difficult to get to the house from Larnaca Airport. All you need to do is follow the signs for Limassol (it takes about 30-45 minutes to reach Kalavassos). As soon as you come out of the airport there is a small roundabout - you follow the signs for Limassol do not go into LARNACA. You will then get to another large roundabout - again keep on the road towards Limassol you will now be on the main motorway. 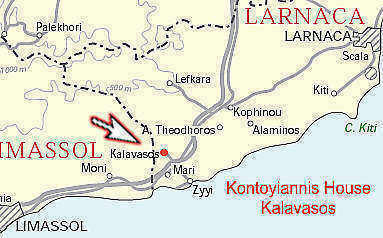 Drive towards Limassol until you see the slip road for Kalavassos (Junction 15). Its very easy to get to Kalavassos, just be careful when you are coming from Larnaca once you turn off the motorway, you will reach a crossroads turn left pass the petrol station then turn left under the bridge. You just have to be careful you do not miss the sign to Kalavassos on your right or you will end up on the motorway again. We need to know approximate time of arrival so that we can arrange for someone to be there to greet you. 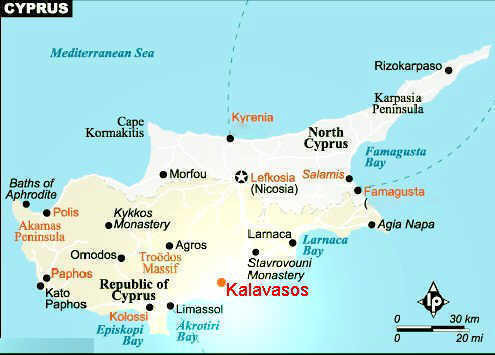 It takes about an hour to get to Kalavassos from Paphos Airport. On leaving Paphos airport, go straight for 1 1/2 to 2 km till you reach a T-Junction. Follow signs for the Motorway towards Limassol. After I km turn left, this will lead you to a small roundabout, follow the signs for Limassol and this will bring you onto the slip road to the motorway. When you get near Limassol, do not go into town but follow the signs for the Larnaca/ Nicosia motorway. Go over all the roundabouts which go through Limassol, do not go into town, just keep following the signs for Larnaca/ Nicosia. Kalavassos is at Junction 15. The turning into Kalavassos is your first left as soon as you get onto the slip road, you will know you are there because you will see the valley below you! 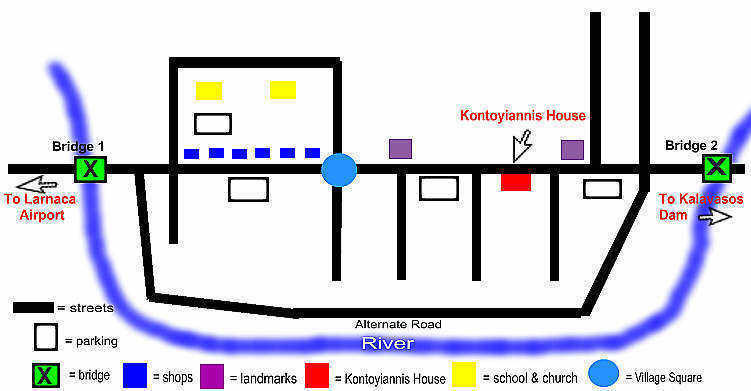 Now follow our map to get to the house. After you pass bridge 1, you can go either through the village to get to the house or take the road that says to 'Kalavassos dam'. ( Alternate Road on map) If you take the road to the dam the house is left at bridge 2 on the map. 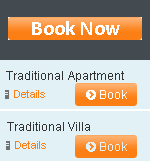 If you are just looking for holiday options at this time and are not yet ready to make a booking or request availability dates perhaps you would like to sign up for our newsletter. This is where we keep our guests and friends updated on our latest specials and the events in Cyprus.